I’m sorry, but if you think debt is bad; you are wrong! Debt can be good, sometimes it is even essential. If you get hung up on the idea that debt is somehow part of the war of good and evil, you might overlook power financial decisions that can benefit your family and finances. Now that my series on whether families should buy a house or rent is winding down, I’m looking for a new series. 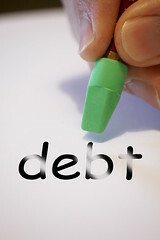 Having been out and about the personal finance blogiverse, I’ve noticed a number of “debt is bad” posts. Most have some valid points, but like the home buying versus renting debate, they are simply missing out on the big picture. Like the last series, I’m going to avoid the advice and content you’ve read 1,000 times. I want to cover the arguments that are missing and the fact that debt is not bad is a perspective greatly underrepresented on the internet. No doubt you’ve heard the phrase, “when you play with fire, you get burned.” It’s the same with debt. When you play with debt, you get financially burdened. Just as fire and debt have the same potential outcomes, the potential solutions are the same. For many bloggers, the solution to avoid getting financially burdened is “don’t have debt.” I can’t deny that this option isn’t superior, but it’s also akin to saying “never use fire.” Sure, you avoid getting burned, but fire is also useful, even indispensible for living our daily lives. I could expand the debt analogies into so many areas. Is eating bad? Or, is it just that people don’t understand that eating can be dangerous? Their eating is out of control? Are ignorant of how to make eating something healthy and beneficial? I Took Out a Loan When I Could Have Paid Cash! A little over a year ago I needed a new car and took out a loan at 8% interest instead of paying cash. (Better than a 1,000% pay day loan, am I right?) It’s not that I didn’t have plenty of cash to buy the car. No, I simply recognized that using cash was too much of a risk. My wife was on maternity leave with my son and we had planned on her being out on unpaid leave for a year. The real problem is that without the second income, my family didn’t make enough money to cover the bills. We’d be relying on our emergency funds while she was out of work. So, why in the world would I take out a loan? The loan was for three years and I knew my wife would be out of work for one year. If I bought that car with cash, my one-year car expenses would have been $4,400. By taking out a loan, I dropped my one-year expenses to $1,500. If you needed to weather a financial storm for exactly one year, would you go with the higher one-year cost or the lower? The difference in costs meant that I had an extra $2,900 at my discretion for the year. I could use it for unexpected surprises like medical bills and car repairs. Without the loan, my family had less free cash to deal with our sudden decrease in income. Paying cash was simply too risky given our unique financial situation. One year later, the lower car expenses for the year have been crucial in riding out our cash flow issues. If anything, I wish I’d gone with a four year loan instead of a three year so that our one-year costs would have been lower. It’s important to note, there will be added cost for the use of this money I’m leveraging. I didn’t chose the most cost effective car buying option. If my wife had returned to work earlier, I certainly wouldn’t have taken out a loan and would have paid cash. But, the point here is to recognize that debt can be a means of financial success, while abstaining can be just as risky. How do you avoid getting burned by fire without writing off its use? You never, ever “play” with it. Same goes for debt. What’s your take? Should all families avoid debt like the plague? Or, can it be a means to financial success when used appropriately?